We’re excited to launch the pre-order for Greg Ward’s new album, Stomping Off From Greenwood. 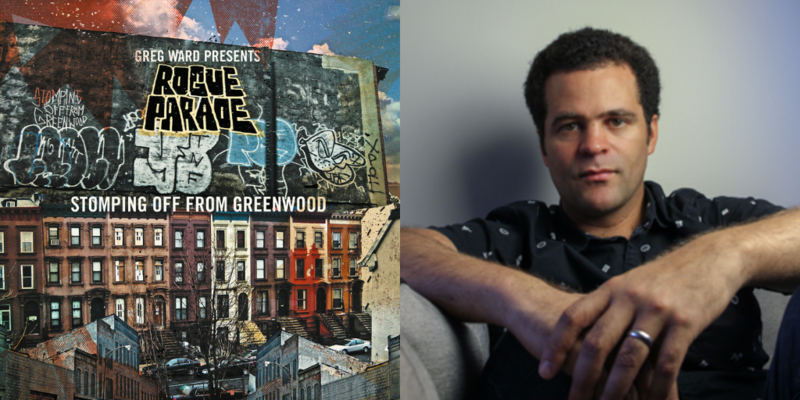 The record highlights Greg’s skills as a composer and arranger with a new band, Rogue Parade, featuring musicians who are a big part of Chicago’s vibrant creative music scene: guitarists Matt Gold and Dave Miller, bassist Matt Ulery and drummer Quin Kirchner. The follow-up to Ward’s acclaimed 2016 release Touch My Beloved’s Thought, the album will be released on January 11. The album’s lead track, “Metropolis,” is streaming now. Pre-order the album now on Bandcamp,and iTunes and you’ll receive the lead track instantly!